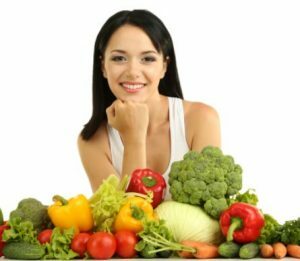 The key to long luscious and shiny hair can actually be translated to a number of factor that include your general health, well-being, and lastly genetics. All of the above influence the way your hair looks like and how long it takes to grow. The average gal grows her hair about a half an inch per month. Take under consideration that a good diet and proper hair care are fundamental. Having said that, find below our top picks for the best natural ways of encouraging hair growth. Get ready to bring your Braggs into the shower because experts say that cold water plus apple cider vinegar will help to close the cuticle layer of the hair, leaving it shinier. What we’re looking for here is hair thickness and this can be achieved by daily scalp massages. Experts suggest spending five minutes a day massaging your scalp will do the trick. Going to bed with unbrushed hair may seem tempting when you’re tired, but giving your hair a few quick strokes can be great for its health. 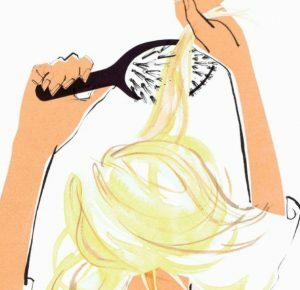 This simple step each night helps increase circulation, which helps make your scalp healthier. Which leads us to faster hair growth. Regular trimming of hairs every eight to ten weeks ensures fast hair growth. What happens is that due to excessive dirt and sun, the end of the hair usually gets damaged and rough, inducing split ends. 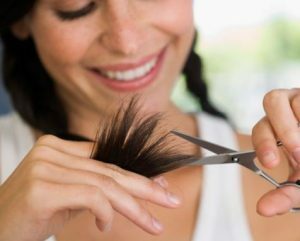 When you regularly trim your hair, those split ends get cut off, leaving your hair to breathe and grow without any hurdle. Stress can have n number of ill effects to your health; hair fall is one of them. 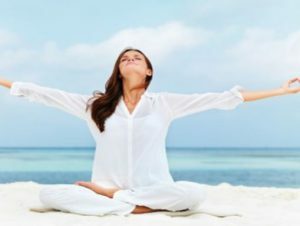 Excessive stress due to work or personal problems can disrupt the hair cycle, refraining fast hair growth. This could be the time to try that yoga class. 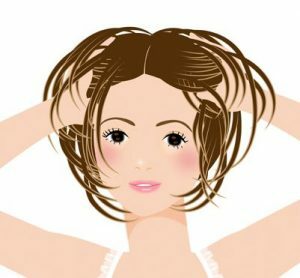 Having long, strong hair doesn’t just depend on which products you put on your hair; it also depends on what you put into your body. Try increasing your protein intake. You are probably guilty of skipping conditioner but it’s actually shampoo that you should be skipping. The reason? Shampoo is to wash away dirt and product buildup, but it can also take essential natural oils that keep strands soft and healthy along with it. Conditioner on the other hand, helps replace the lipids and proteins inside the hair shaft. Always remember healthier hair, grows faster.